Join us to a pure bliss island yoga retreat. Escape from the hectic of daily life. Refresh body and mind. Set free on the amazing island of Patmos ! 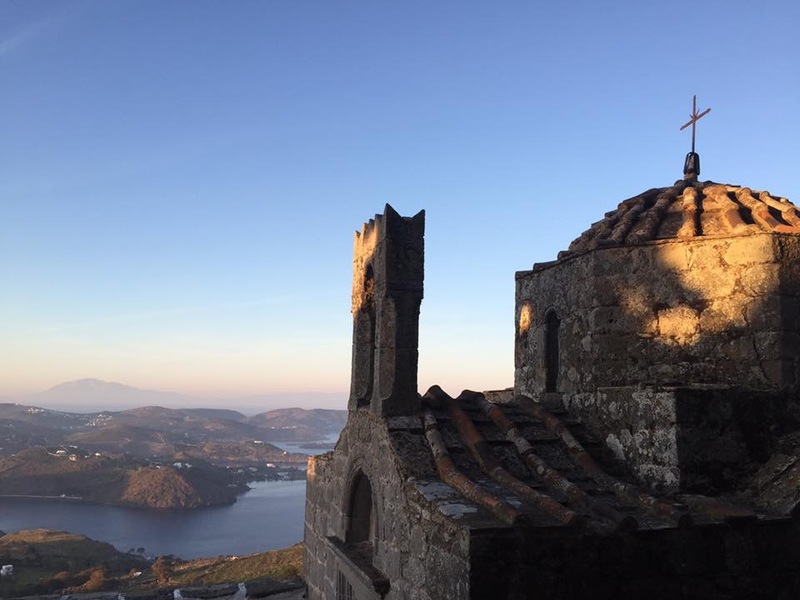 Patmos is one of the most beautiful islands of the Dodecanese: A group of twelve islands stretching along the south east corner of the Aegean Archipelago. The capital of the island, Chora, has been built around the imposing fortified Monastery of Saint John the Theologian, during the 12th Century. Chora is offering an exceptional architecture with narrow alleys, and superb houses with flowered courtyards. Patmos is a mountainous island with rocky soil and miles of tracks and lanes. The visitor can explore a good number of monasteries and small churches. With its picturesque villages, the whitewashed cubic houses, the charming lace-like coastline and the pebbly and sandy beaches with crystal clear waters, Patmos rewards with its beauty those who decide to spend their Yoga holiday there!